Border Stone (Alternate) is a block added by the Extra Utilities mod. It is crafted out of Border Stones and serves purely aesthetic purposes, with the main intention of creating roads. 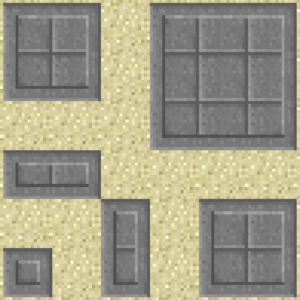 The block uses connected textures, which makes it look like square stone pavers that are surrounded by a solid stone border when at least four of the blocks are placed in a square. The block is a different, but similar version of regular Border Stone blocks. Border Stone (Alternate) has no known uses in crafting. This page was last modified on 5 May 2016, at 09:37.